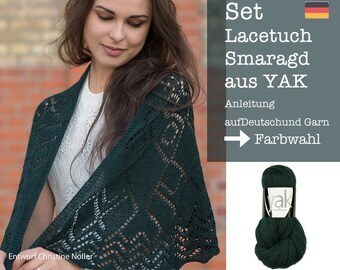 Attention -> Pattern is written in German language. 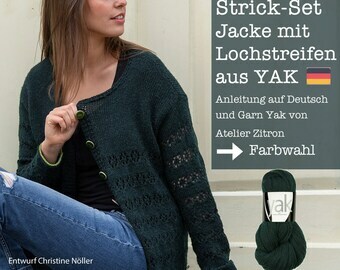 At the moment there is no Englisch Version available. 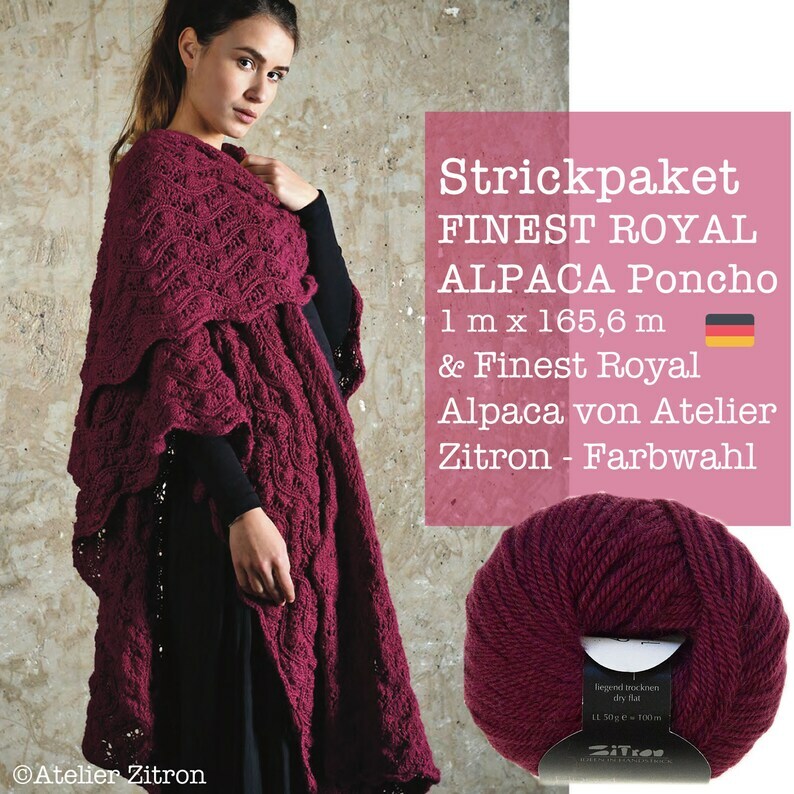 This poncho is knitted with Finest Royal Alpaca by Atelier Zitron and is ideal for cooler summer evenings. Whether at a summer party, barbecue with friends or a visit to the beer garden, if you have this poncho with you, you are perfectly prepared. You will be nice and warm when you cuddle up in the soft poncho. This pattern perfect for all sizes. 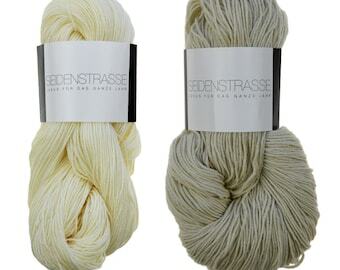 100 % alpaca, length 100 m/50 g.
Finest Royal Alpaca is manufactured in Germany according to Öko-Tex Standard 100, product class 1 ( FI Hohenstein S07-0687 ). The motto of Atelier Zitron is "Clothing as a second skin", the yarn can be worn directly on the skin without hesitation. You buy a luxurious premium yarn at a particularly good price/performance ratio, which is only available from Atelier Zitron's hand-picked dealers.